For our Texas friends! 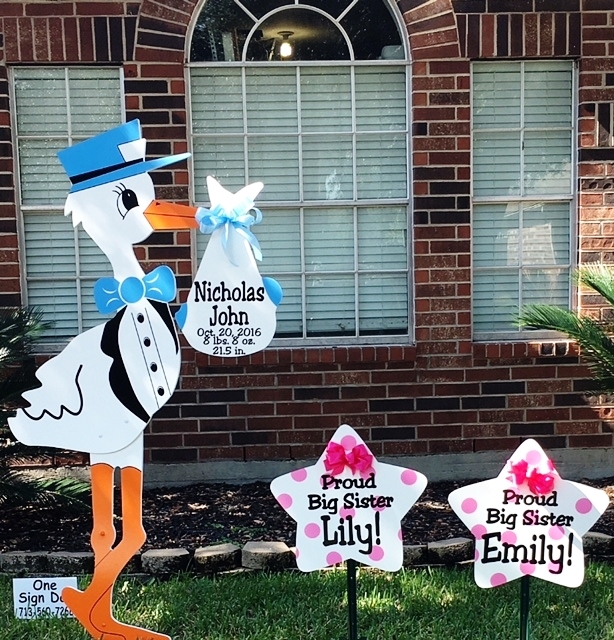 We’re excited to announce that One Sign Day in Houston is now renting the same stork lawn signs the people of San Antonio have been renting for many years to celebrate the births and birthdays of their family and friends! If you have family or friends in greater Houston please call Melanie to rent a stork or birthday sign. 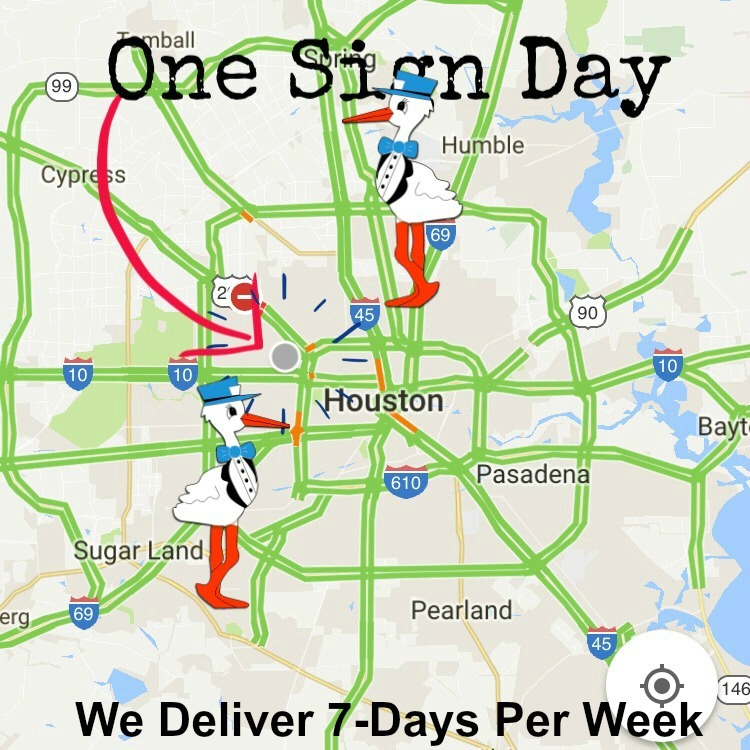 One Sign Day proudly serves Spring Branch , Memorial, River oaks , Memorial city, Heights, Katy, Bellaire, Med Center, Jersey village, Katy, Cypress, Humble, Sugar land, West U, Garden oaks, Midtown, Montrose, Meyerland , Galleria-uptown, Spring, and Woodlands, Texas. If you don’t see your area listed please contact Melanie at 713-560-7268. She will accommodate you if at all possible.